So, you’re all over the Law of Attraction, like white on rice. You “get” it. You’re projecting positive thoughts, sending love all over the place (including that co-worker you can’t stand at the water cooler. She’s so annoying! ), in hopes of attracting health, wealth, and abundance into your life and relationships (images of Tinker Bell sprinkling pixie dust and $100 dollar bills dropping from the sky dance in your head). But, you’re not getting the results you hoped for. You still hit the snooze bar on the alarm (five times), drag yourself out of bed, are greeted by Attila The Hun (aka boss) at work, and if your co-worker interrupts you one more time at the water cooler, well….you won’t be held responsible for what happens next! What’s wrong with this picture? Polarity! Or, in human-speak, opposites. Whaaa? Polarity is defined as “the presence of two opposite or contrasting principles or tendencies.” So, be a magnet! 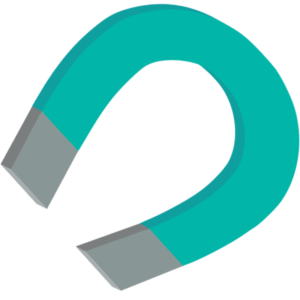 Think of how a magnet works: when there’s a positive and negative charge an attraction is created. Projecting positive thoughts and words are one side of the magnet. To create an attraction you also have to acknowledge the negative. To crank the engine on the Law of Attraction you need to acknowledge both the positive and the negative. The more targeted your statements the greater the effect. As you say these statements several times you’ll notice a shift in your perspective, you’re calmer, your blood pressure returns to 120/80, and best of all, you’re back in the driver’s seat and choose how this moment is going to end for you. Now you saunter up to the water cooler with a genuine smile on your face, and maybe, just maybe, a pleasant conversation to boot. Now that’s attraction! In a future blog I’ll talk about how the Law of Attraction works with that whole $100-dollar-bills-raining-from-the-sky thing, but we had to crank the engine today! What are your thoughts about polarity, opposites and the Law of Attraction? I’d love to know! Tell me in the comments. Here's to being a magnet! Thanks, Jane! I’ve used this method when my reaction to my family seems over the top. Generally, I’ll sit down, take a deep breath and repeatedly say aloud a polarity statement. It really helps my kids see that I’m trying and not embassassed to admit my part in an upset. Perhaps one day I’ll hear one of their little voices pipe up with their own statement amidst an argument with the other!? Glad you’re seeing results Carra. And marvelous modeling for your little ones! Add Emotional Freedom Technique with polarity statements and you’ll get even more bang for your energetic buck. I’ve included Emotional Freedom Technique with my “5 ‘Change the Channel’ Tips to Rejigger Your Day in Under 5 Minutes” if you haven’t already downloaded it. Enjoy! I find that sometimes the Law of Attraction works in my life when I am struggling with something. This is usually me overthinking an emotional response to an outside influence. I find just like the adage “when the student is ready, the teacher will appear” that I read something (voracious reader that I like to be) or listen to something (podcast or advice from an experienced, compassionate friend) that hits the nail on the head of what I’m dealing with. There’s always something new to learn. On the subject of EFT or tapping brought up in your reply to a comment Jane, I love that this involves acknowledging “the truth” of the matter (often negative) before tapping in the positive. A much more effective way than just repeating affirmations or mantras which sometimes feels insincere and false. You nailed it Esther (pun intended : )! Thanks for sharing your experience with the Law of Attraction and how it usually hits the nail on the head. More on how the Law of Attraction and the Law of Resonance play off each other in next month’s blog. And also the value of acknowledging “the truth” of the matter. It’s this opposite pole that is crucial to magnetize what you want to attract. Well said!